施华洛世奇® Gems™ : 施华洛世奇®水晶配件批发目录, Allium Blue Co.
SWAROVSKI GEMS™, Swarovski’s brand for genuine gemstones and created stones, offers a unique, balanced selection of products made from the purest raw materials. 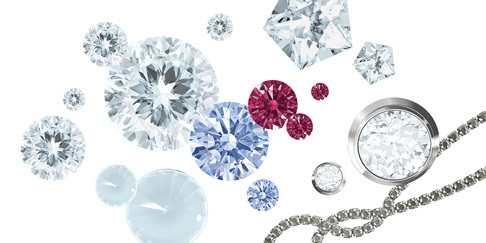 In keeping with the “poetry of precision” for which SWAROVSKI products are famous, each genuine gemstone and created stone is crafted to satisfy the strictest standards for color, quality, size, and shape. The result: a consistency and quality unlike any other brand on the market and an unsurpassed creative vitality. SWAROVSKI GEMS™ guarantees that all genuine gemstones and created stones are cut and polished in Swarovski’s own factories and thus meet or exceed the world’s most stringent social and environmental standards. Dedicated to constant innovation in the science of precision cutting, SWAROVSKI GEMS™, through ongoing research and development, has created a new dimension of brilliance with its genuine gemstones and created stones. Swarovski can reflect upon an international reputation in precision cutting technology and the virtuous handling of light that spans a 120 years. Our company‘s distinctive character is rooted in the cultural heritage of Europe, as is our flair for forging links between the arts, science, and business.